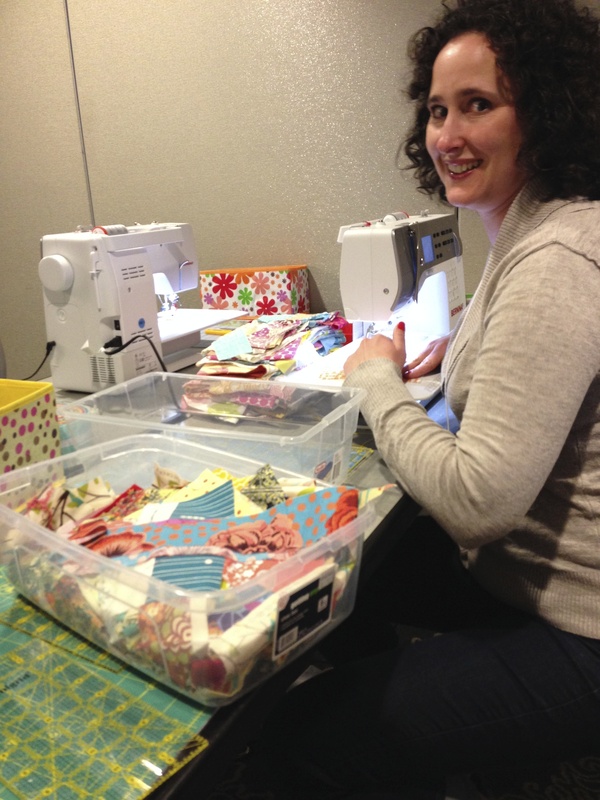 April 2014 Sew Day – Join Us! Join us on April 26 for our monthly Sew Day! 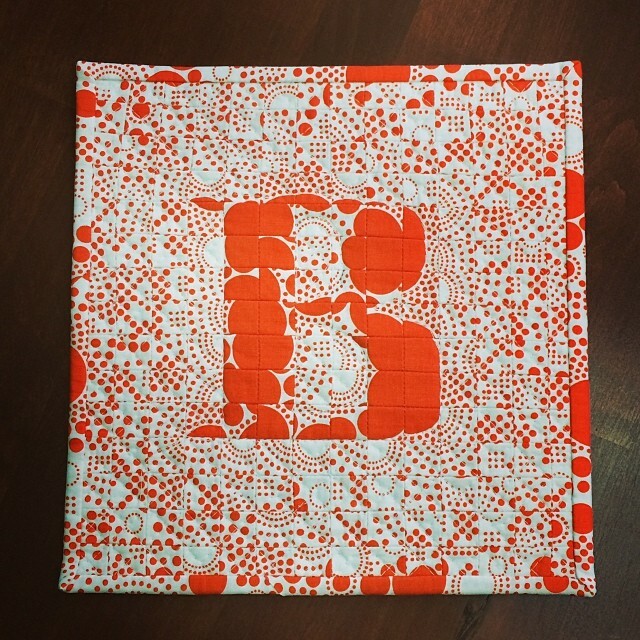 If you signed up for the Michael Miller Fabric Challenge you can pick up your fabric. 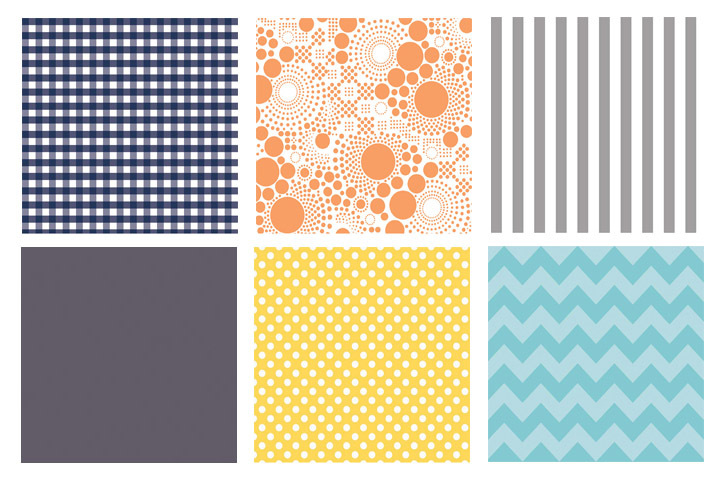 Super cute fabric – we can’t wait to see what you create! 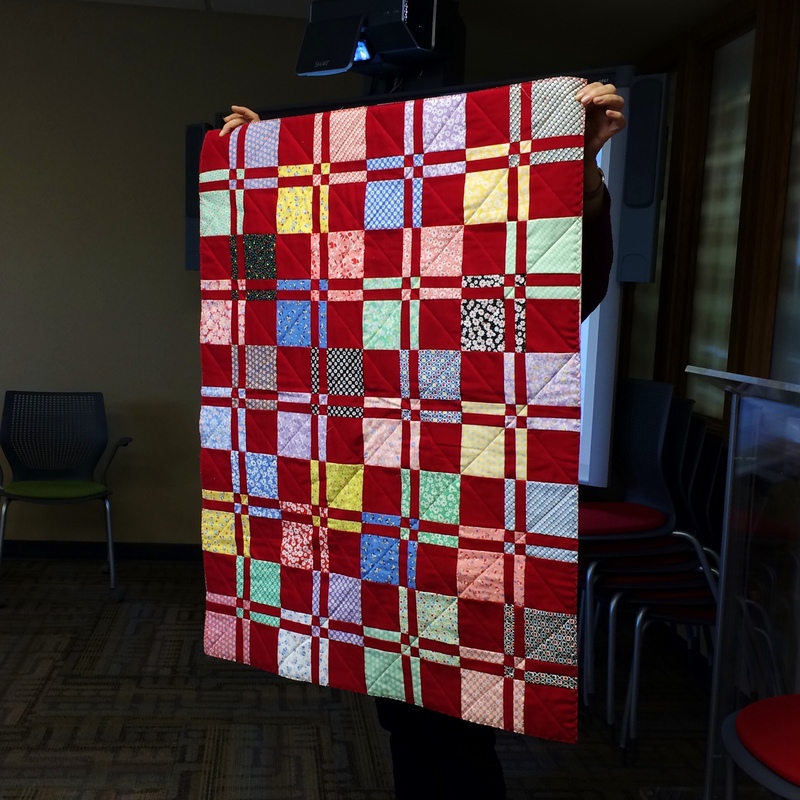 Last month we made 32 blocks for our banner quilt. Half way there! Since we still need more, we are going to make more this month. See below for guidelines. Style: As long as it is modern, it is your choice. Check out our Pinterest board for ideas and tutorials. 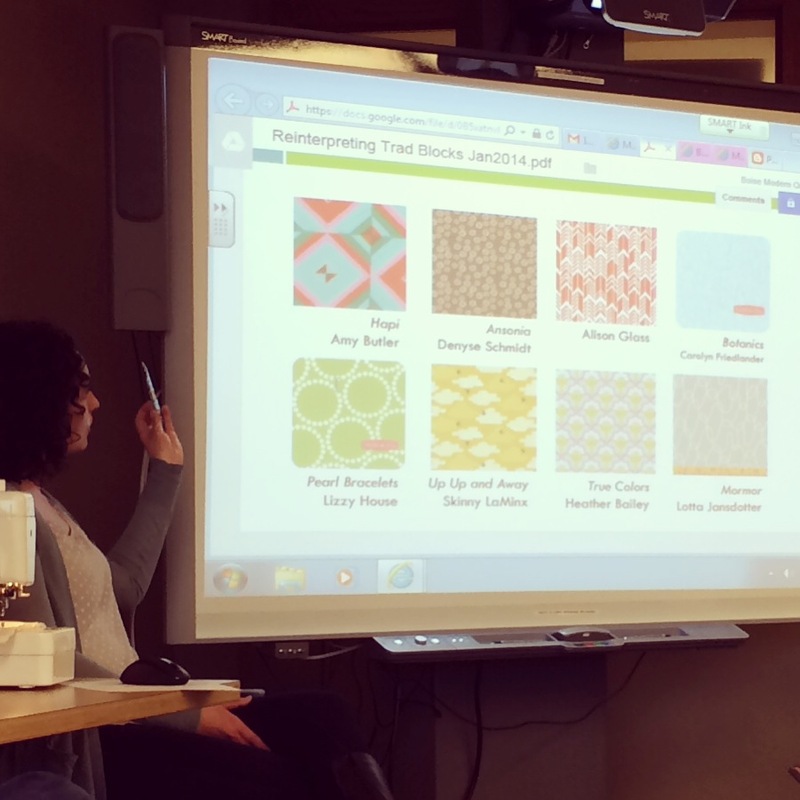 Color or fabric requirements: None – just keep it modern! 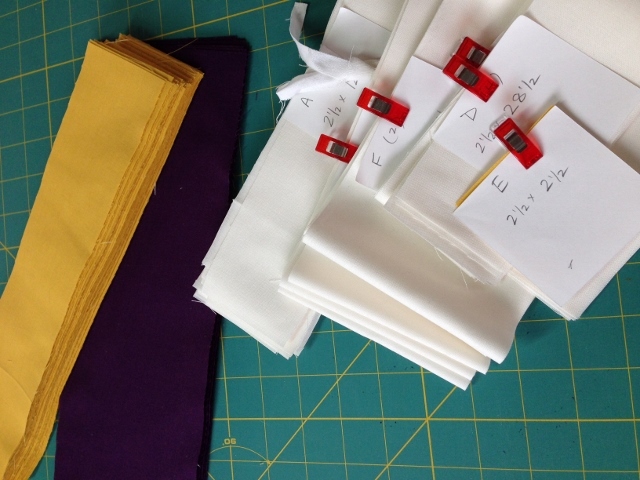 If you would rather sew on your own project, bring it! No matter what you work on, it promises to be a productive afternoon. As always, please bring your completed projects to share with the group! Also, if you have them, it’s always a good idea to bring a power strip and/or small extension cord. 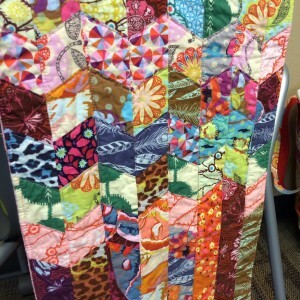 March 2014 Sew Day – Join Us! 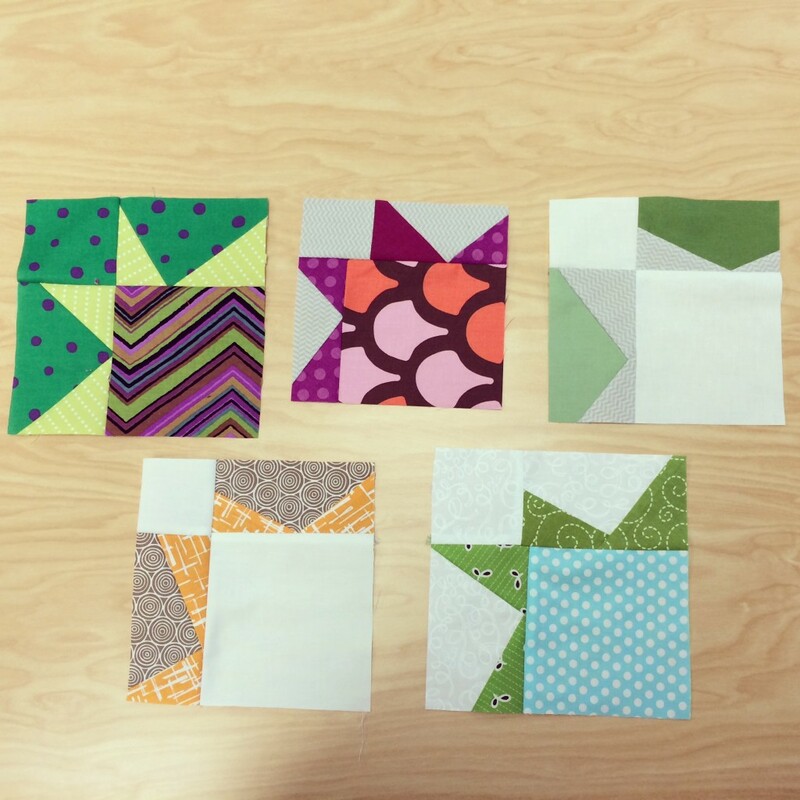 Join us on March 22 for our monthly Sew Day! 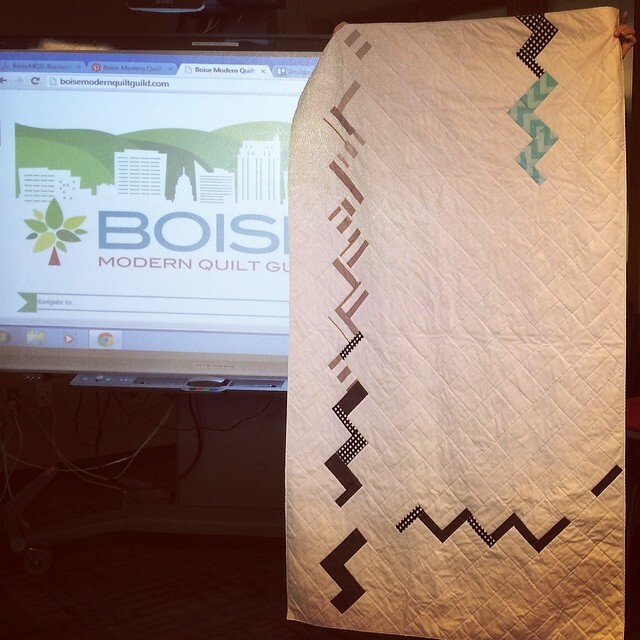 This one is exciting – not only is it our first extended Sew Day, from 1 to 5 p.m., but we will be making blocks for our Boise Modern Quilt Guild banner. 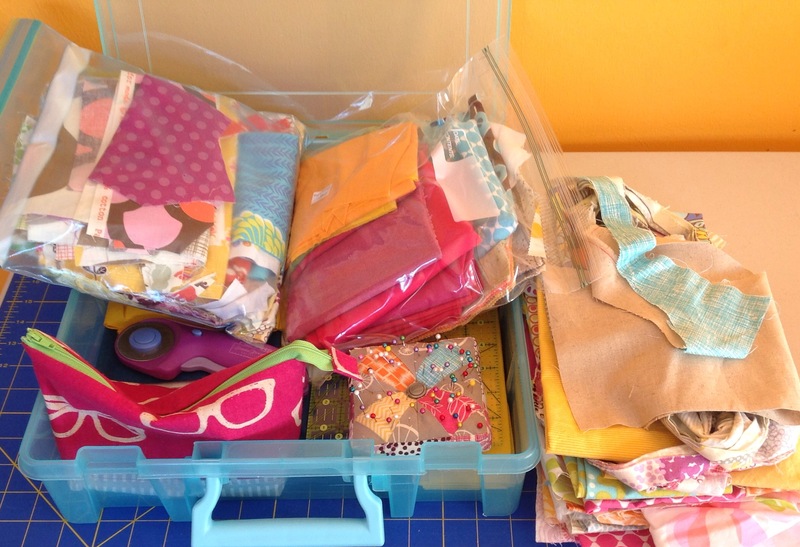 So bring your fabric, your block patterns and everything you need to sew. 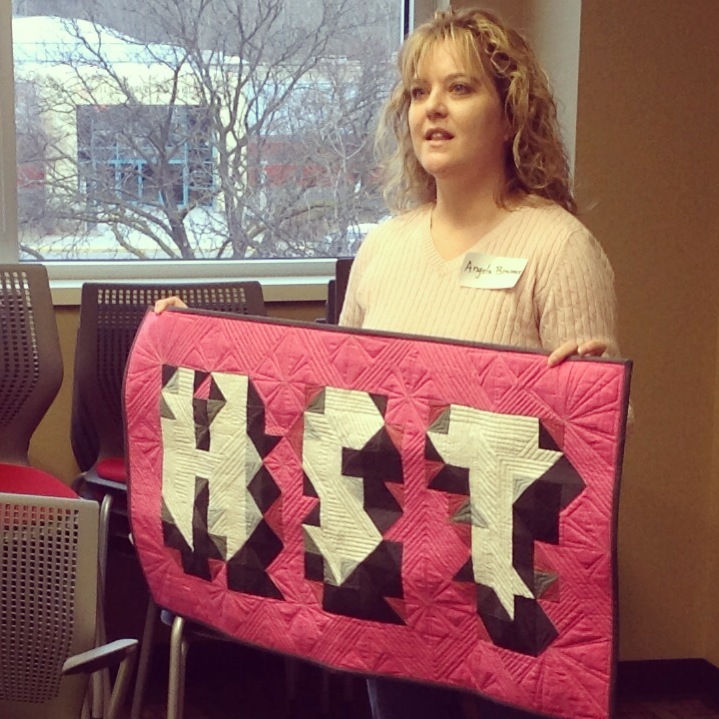 There were lots of new faces at this meeting – we signed up 9 new members! 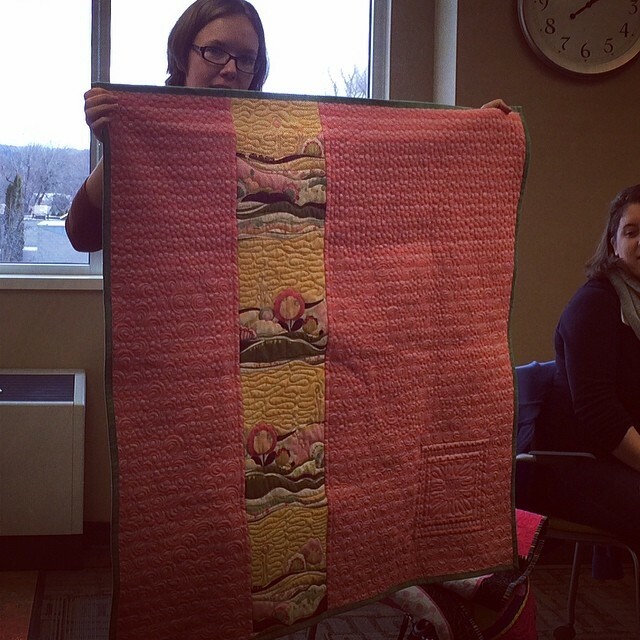 We talked about making a banner quilt. This will be a group effort, and we are so excited to get started. 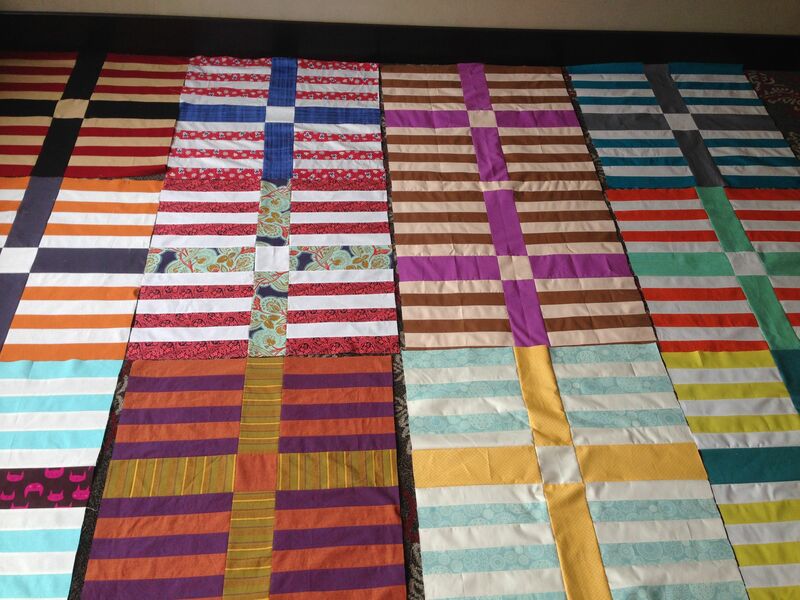 We’ll need a bunch of 6.5″ unfinished quilt blocks for this project, and we’re planning to have a block-making frenzy for next month’s sew day. 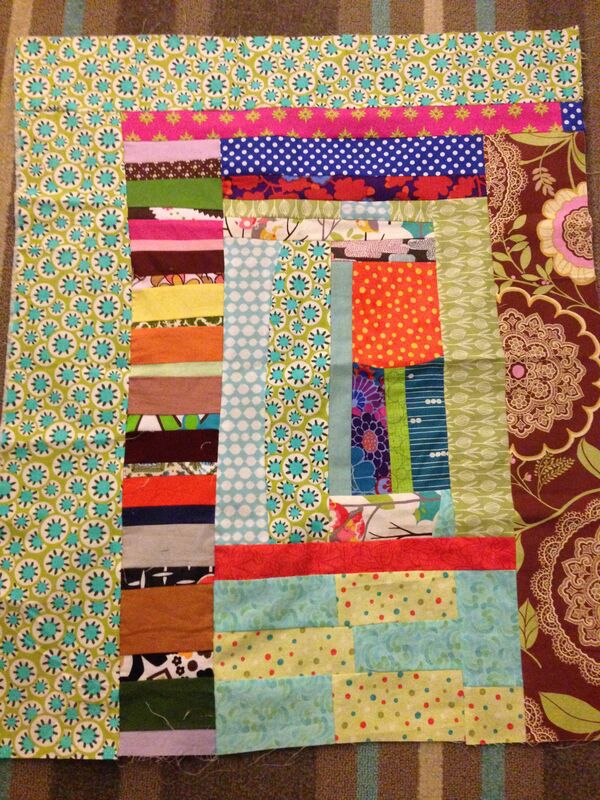 Check out our Quilt Block Tutorials Pinterest board for tons of inspiring free tutorials. We made sure to put the block size on each pin! 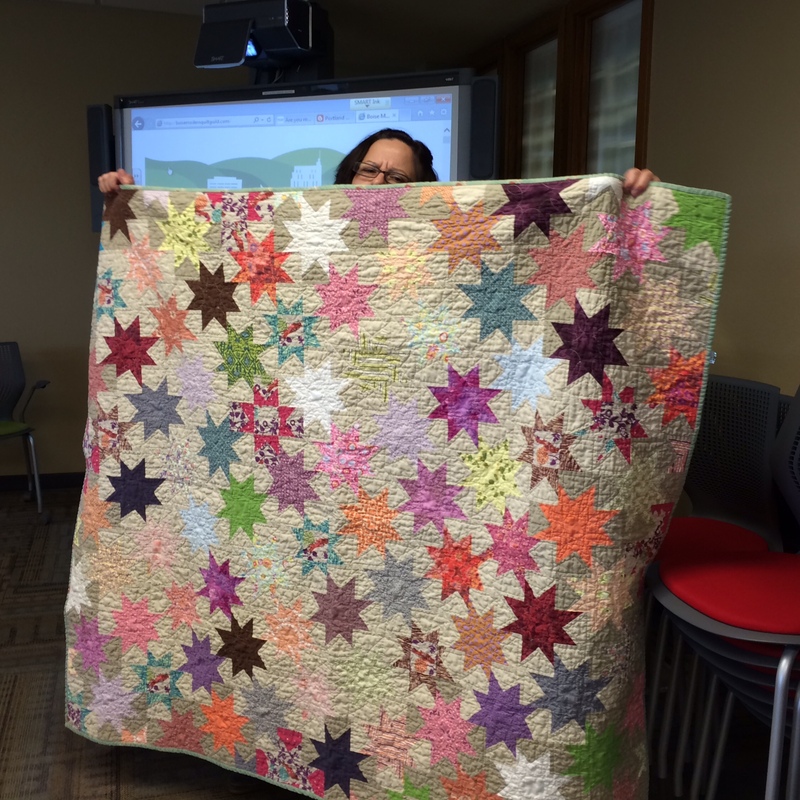 Then we shared a couple of news items: the Michael Miller Fabric Challenge and 2015 QuiltCon. Exciting stuff, folks! 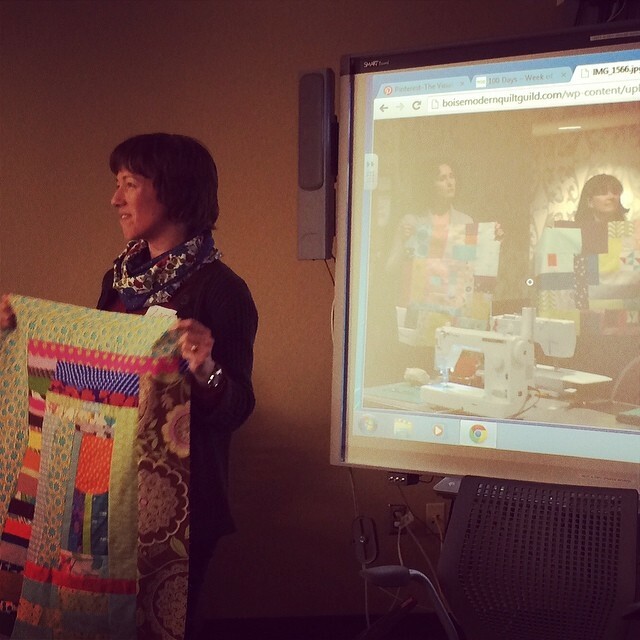 Lori Wambolt (our Treasurer) shared her experience from SewDown Portland, along with her “conversation” quilt block. 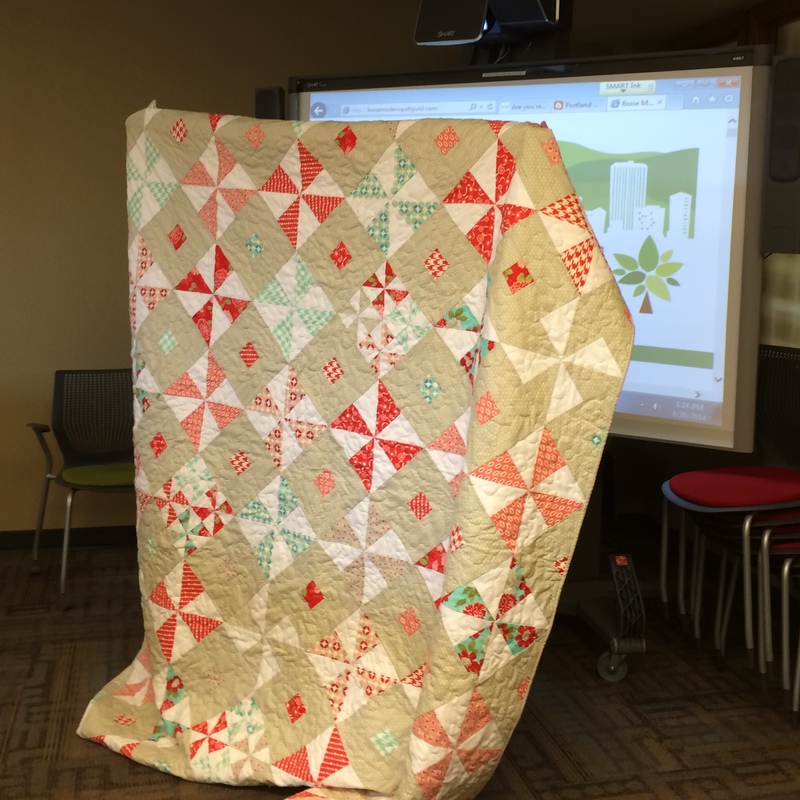 Lori showed examples of quilts that focused on composition and use of negative space. Then we made some quilt blocks along this theme, using this tutorial by Alissa Haight Carlton: This Way Quilt. 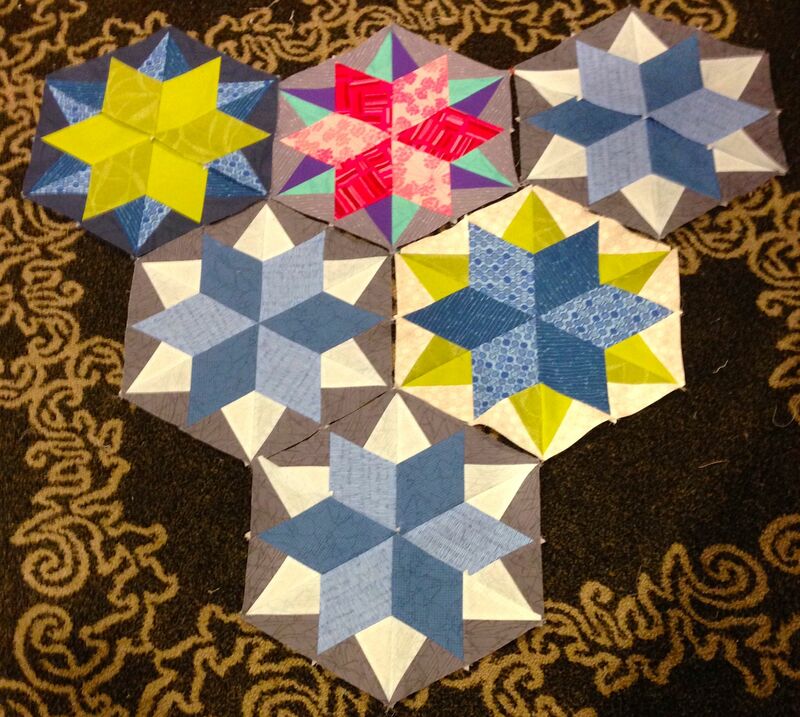 February 2014 Sew Day – Join Us! Join in the fun! 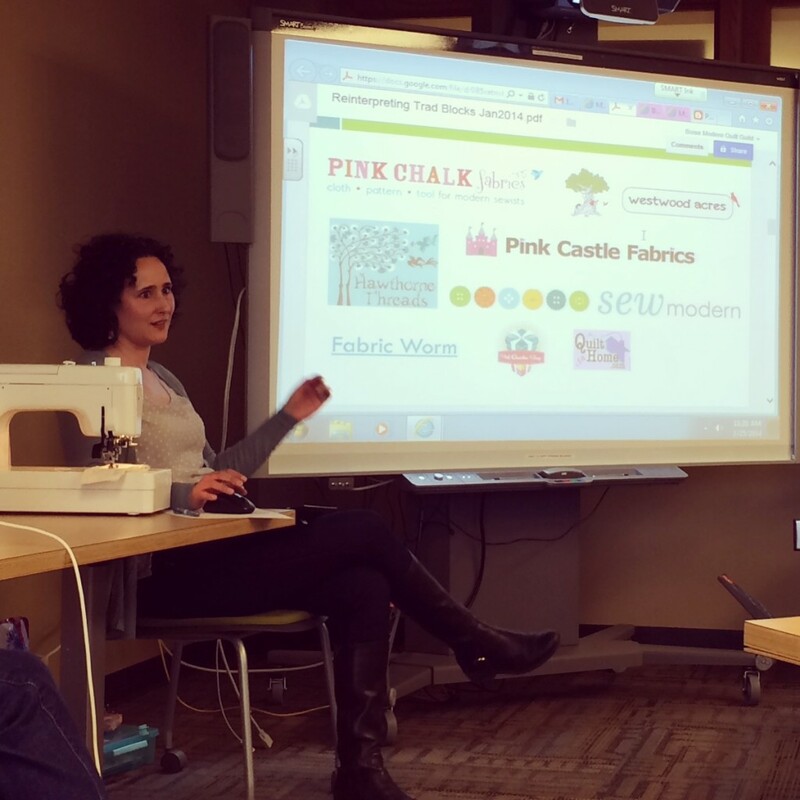 We are looking forward to another Sew Day in our roomier space at the downtown Boise library. Last month was our first month at this location and everyone enjoyed having a bit more elbow room to work. 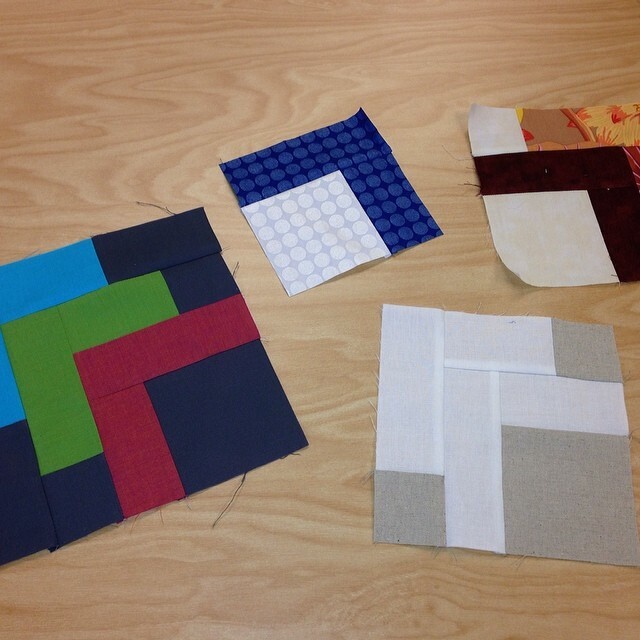 Our discussion topic for our February sew day will be composition and the use of negative space in a quilt. 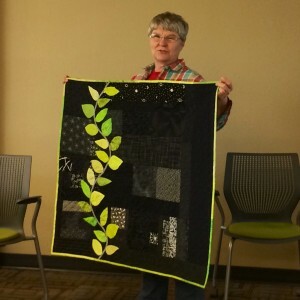 We will be working through the recently posted tutorial on the Janome website by Alissa Haight Carlton, one of the founders of The Modern Quilt Guild. 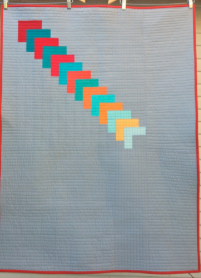 Yes, the tutorial is for an entire quilt, however, we will start with the foundational block that the quilt builds upon. How much of the quilt you make after we make the very graphic, simple block will be up to you.This quilt does appear to be one that will come together quickly (once you tackle all the cutting!) and would be a great example of modern quilting to showcase in the upcoming BBQ 2014 quilt show. 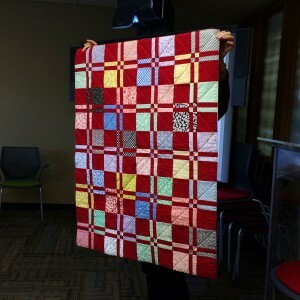 As always, be sure to bring your latest show and tell finished quilts for all to see! You are also welcome to bring your own project(s) to work on if this tutorial doesn’t peak your interest or you are focused on a current project and simply can’t tear yourself away from it to start something new. 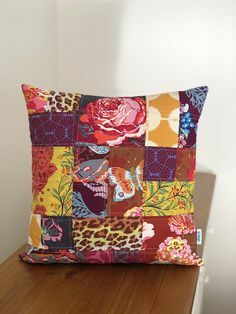 We look forward to seeing you for our February Sew Day. 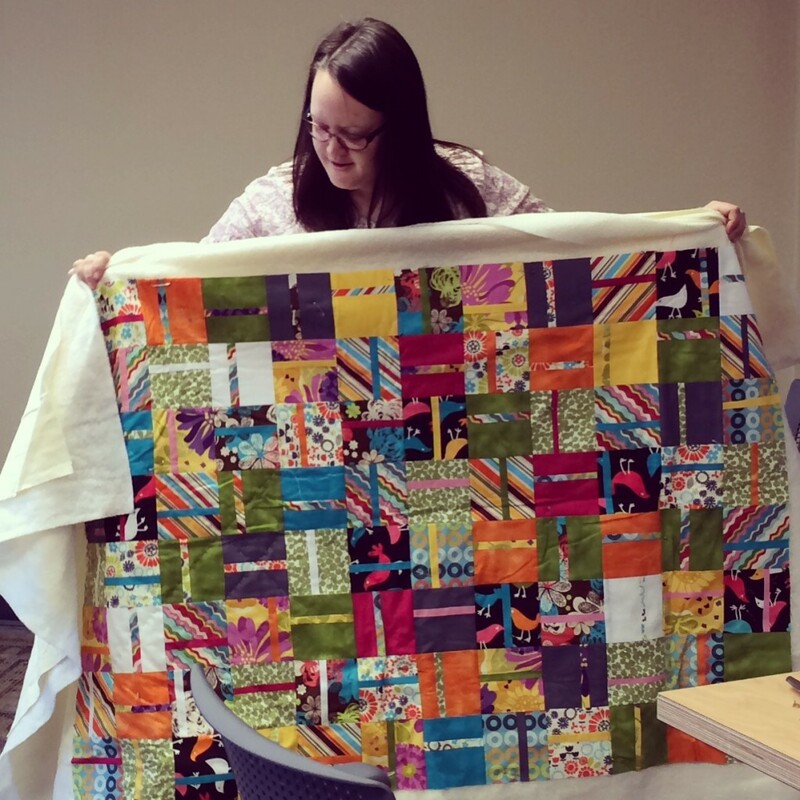 UPDATE: If you are participating in the Riley Blake Fabric Challenge, bring your quilt. We’ll take photos of our entries. Less than a week before we (Christy and Lori) leave for the Portland SewDown! We’ve never been to something like this and are very excited. 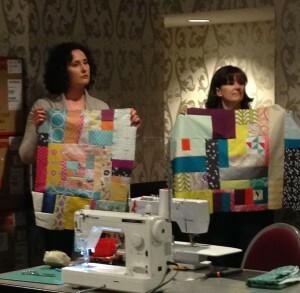 What could be better than staying at a fancy hotel and quilting all weekend with like-minded folks in a great city like Portland? We’ve got a lot to do before we leave though. Over the next few days we”ll be busy preparing our fabric (three yards of scraps? How do you measure that?) for the workshops and gathering supplies. The workshop Christy is most looking forward to is the Improv Round Robin taught by Sherri Lynn Wood. 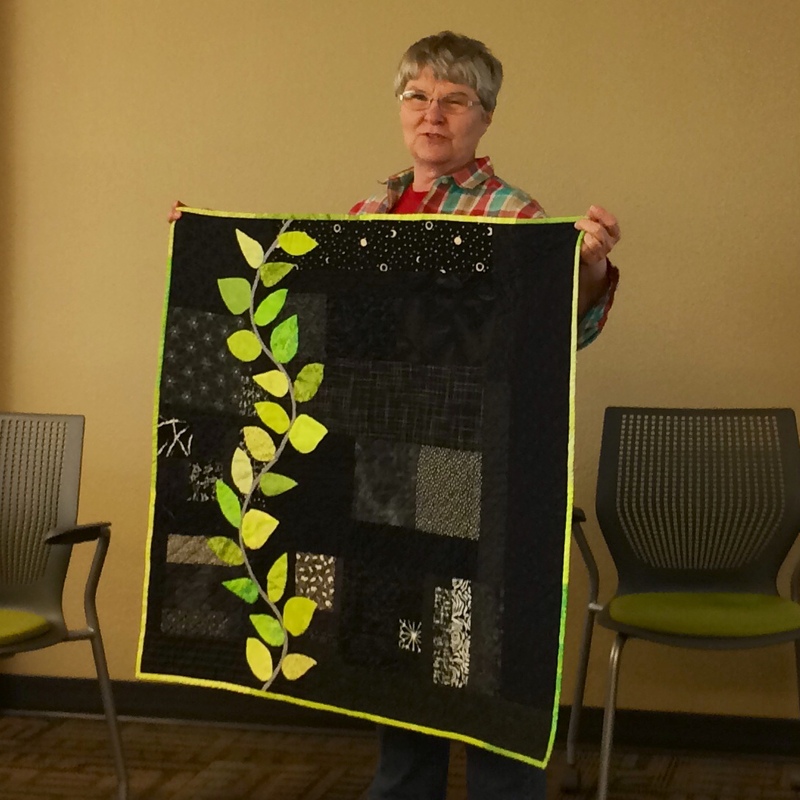 She loves improv piecing and is looking forward to doing it in a group. Lori is looking forward to learning new techniques with Julie Herman’s sidekick ruler. 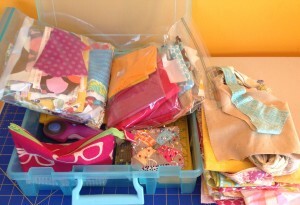 Below are a couple pictures of some of the fabric and supplies Christy and Lori have gathered so far. 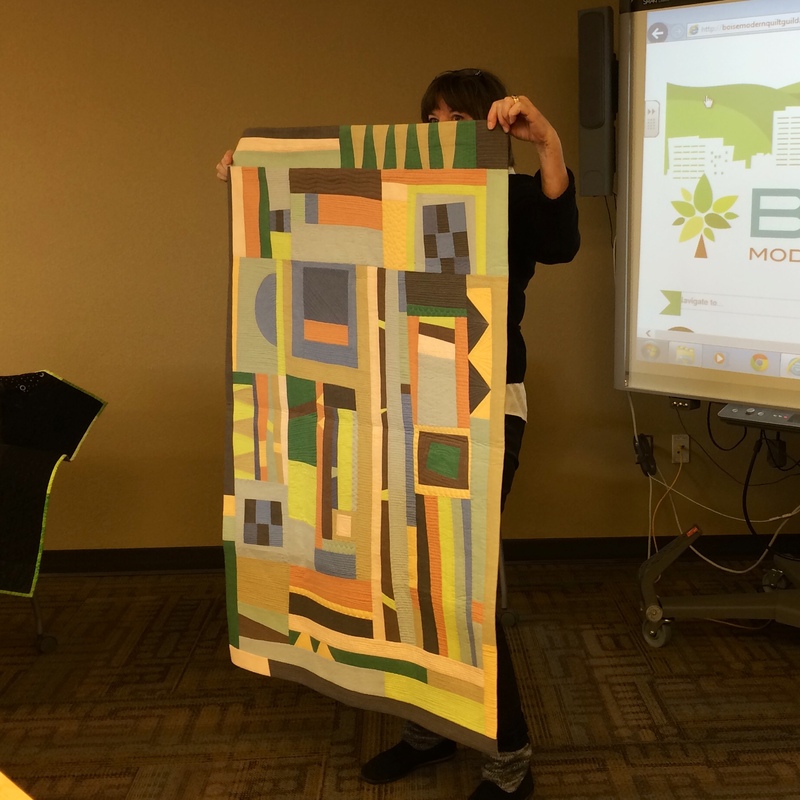 Christy showed examples of how modern fabrics and color can transform traditional blocks into something modern. 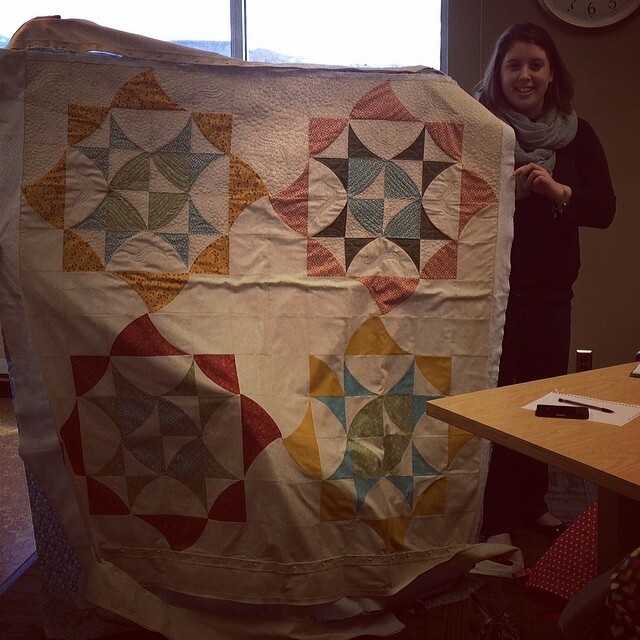 We began with some inspiring modern quilting found on our Pinterest board. 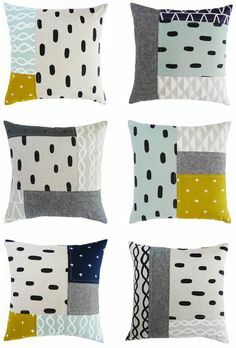 Some modern fabric lines we like! 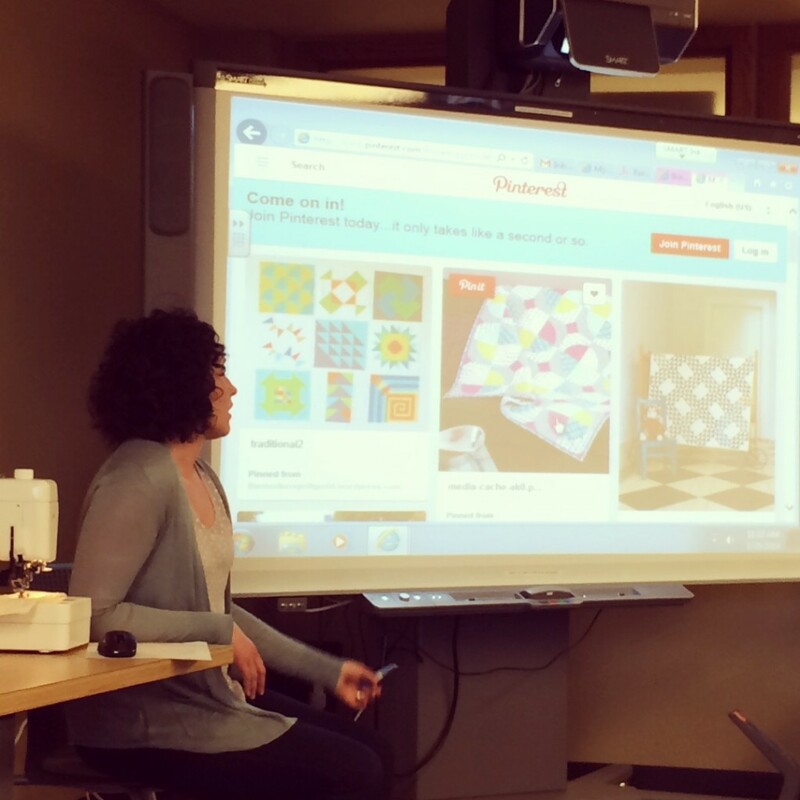 We like to support our local quilt shops in Boise, but we also buy online. Here are some of our favorite online shops. 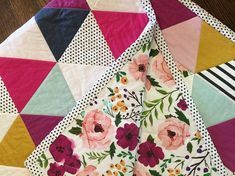 We worked through an online tutorial together to illustrate how tweaking the design of a traditional quilt block can make it modern. Here are some Modern Sawtooth Star quilt blocks we made from this tutorial. 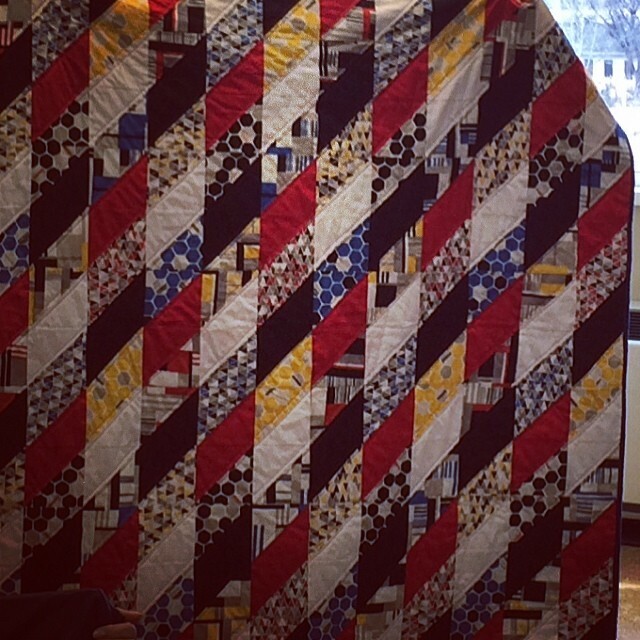 Now: Make your quilt! Share your process using #mqgrileyblakechallenge on Instagram and Twitter. February 17, 2014: Submit your entry to the MQG. You can do this sooner, but the 17th is the deadline. 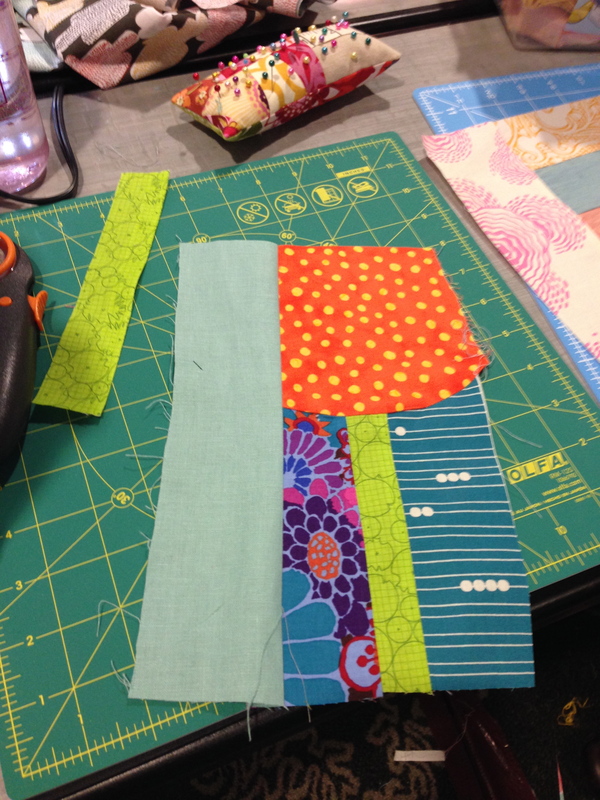 Read the Riley Blake Fabric Challenge – Update! post for info. February 22, 2014: Bring your quilt to the Boise MQG Sew Day. We’ll take photos of our entries.